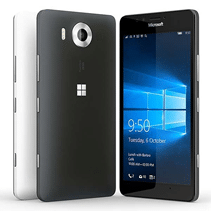 The Lumia 950 is the perfect partner to your PC. Windows 10 delivers a familiar and seamless experience allowing you to connect, surf, stream, and work like never before. Discover a powerful photo experience with the 20MP rear-facing PureView ZEISS camera. The 20MP sensor with triple LED natural flash automatically takes sharp images of fast-moving objects, even in lower-light settings. And with 4K video capture featuring higher resolution and Optical Image Stabilization, you can enjoy priceless memories time after time. 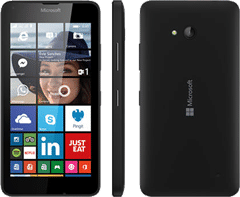 The Microsoft Lumia 640 XL comes equipped with a big 5.7" HD screen - optimized for getting things done when you're not at your desk – and Cortana, your proactive personal assistant. Everyone should have a personal assistant, and now everyone can. Whether it's screening your calls, keeping track of things that interest you, giving you reminders or helping you get to places on time, Cortana makes life a whole lot easier. TruVista is your local AT&T Authorized Retails with 6 locations in South Carolina!